Have you tried engine-assisted route drawing?Locus	Have you tried engine-assisted route drawing? In recent blogposts we were talking about various aspects of navigation like automatic recalculation settings or offline routing data use. We solved situations when the router creates a route from point A to point B itself. That’s a typical procedure when we need to get somewhere quickly and easily and we don’t care where the route goes through. On a hike or a bike ride something else matters. We want to see interesting places, we need to ride some funny trail sections, we’d love to visit that awesome pub for a meal. Alas, no router has this information in its database – we have to draw (click) such a route ourselves. However, a router can be very helpful in this. Uff, really tiresome… and time consuming and inaccurate. … we’re much happier. 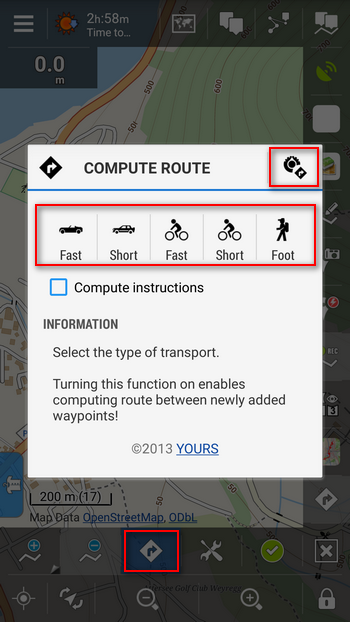 Tap button before inserting points and select means of transport for which the route is drawn. In case you’re not content with the transportation offer, tap the settings button in the top bar and select another source of routing data. When you get back to the route editing the button is highlighted in blue. 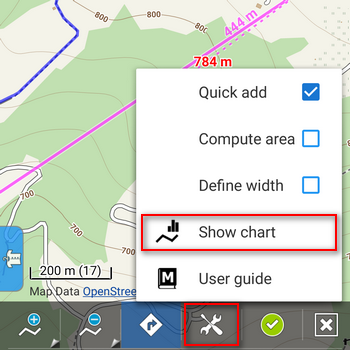 Shift the map on the desired position on cursor and tap . The router will draw all curves for you up to the inserted point. You can add as many points as you like this way. You can even change the router or transport during inserting. It may happen that you make a mistake or the router doesn’t draw as you like – then just tap and delete last added point (and last drawn section). Then change your settings and go on. Remember, if you want router to draw the route, you have to switch it on first (the button is blue) and then tap , not the other way round. This way the drawing is easy and fast. We don’t have to draw routes on various websites and then laboriously import routes in Locus anymore. What if the router doesn’t know the way? Just switch it off by and go on manually according to the map. Of course routers don’t know every goat path despite their databases are growing steadily (talking about OSM based routers). The moment we get to a more distinct road we can switch the router back on. 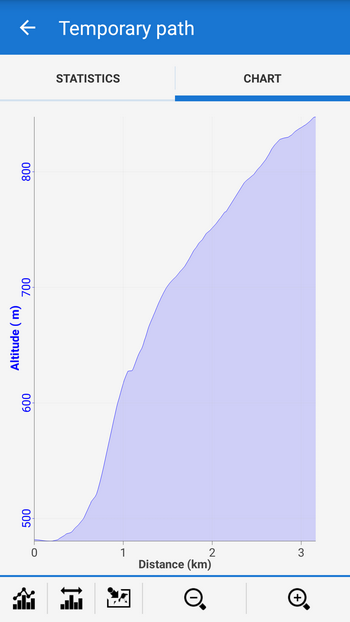 The route profile can be checked in the chart accessible from the panel menu. When you’re finished with drawing, don’t forget to confirm and save everything by the green button! 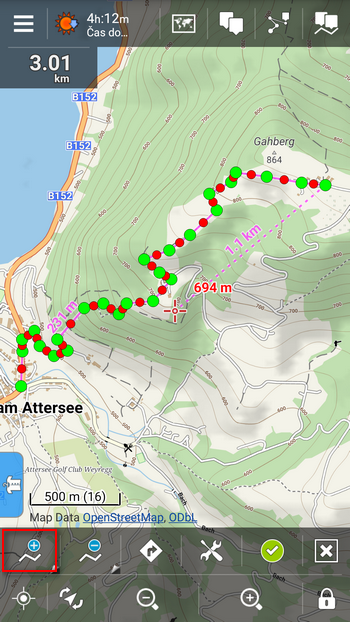 Hi, I’m wondering if there is a way to alternatively route by stored GPX tracks where the router doesn’t know the track? Ie. 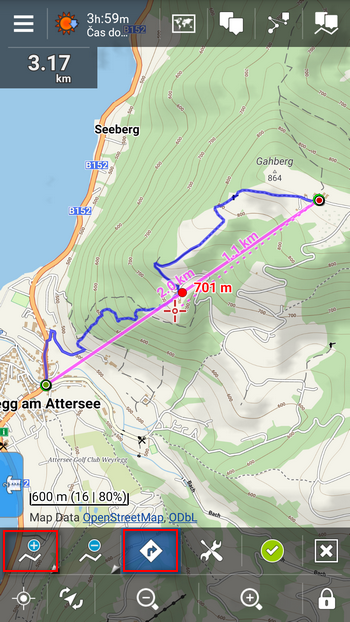 I use the router to plan most of the route (as in the example above), then where there is no known route (but I’ve loaded the GPX file into my tracks and displayed on the screen) can I then “snap” to that track and continue my route? This is a dream feature since I have hundreds of GPX files on my device. If there is a forum posting on this, please direct me! I’m away I can create a routing track then merge them all together to create a new track but that is very laborious! 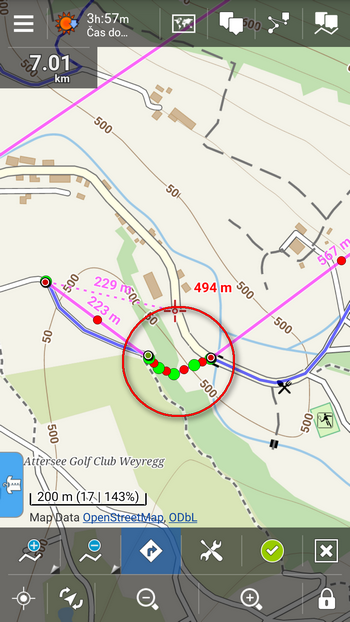 As you know, Locus uses two ways of navigating – along a route that it itself computes and along a route that you yourself draw or import from GPX. When you are navigated along your own route, you can utilize Locus auto recalculation feature with route priority that returns you on your original way. Combining these two methods is not possible. If you think there are more users who would like your idea, place it as a topic on help.locusmap.eu and start collecting votes.